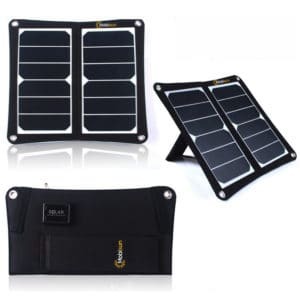 Portable Solar Panels: solar power on the go! We use our mobile phone all day. Not only to send a message or call someone, but also as a route planner, camera, payment device and even as a social companion. Because of this our phone battery will empty quickly. But now there’s an unique way to power up your smartphone when there’s no mains outlet around. 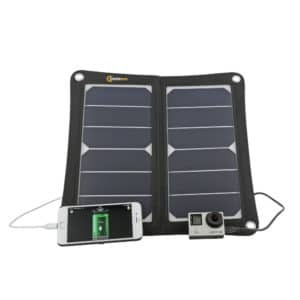 You can charge your phone in a sustainable way with one of our portable solar panels. 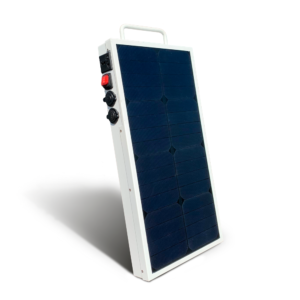 With a mobile solar panel, you can not only charge your mobile phone, but also a tablet, camera or MP3 player. The best way to use our mobile solar panels is however to charge a power bank for as long as the sun shines and use the power bank later to power up you devices. 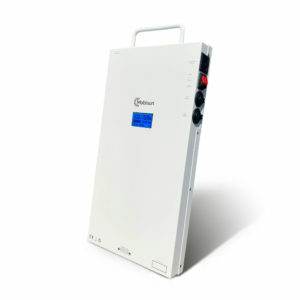 The advantage of a mobile solar panel is that you do not have to bring your own charger for every device. You can supply all your devices with new energy via the USB port of the portable solar panels. Why a portable solar panel? 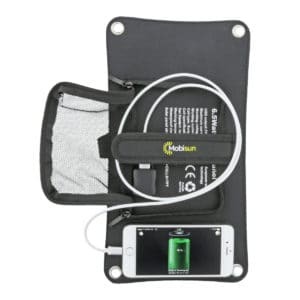 A mobile solar panel with USB output is an excellent solution for charging up a power bank. You can charge the power bank with the portable solar panel while the sun shines and use the power bank later after dawn to charge up your devices. This combination ensures that your mobile devices will never run out of power again. 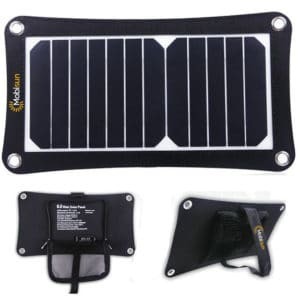 A portable solar panel is also a good source of free energy at a campsite, at a picnic or when you are travelling. With a mobile solar panel from Mobisun, you can power up anytime, anywhere. Mobisun has developed products to give you the feeling of freedom and independence in a comfortable way. We would like to provide everyone with high-quality mobile solar panels and energy storage solutions. Mobisun is constantly working on the development of sustainable and compact solar energy devices that can be used in numerous situations. Would you like to stay informed of our development? Subscribe to the newsletter and be the first to hear about it. Interested in mobile solar panels? Are you interested in one of our mobile solar panels? Then you can easily order these in our webshop. In addition, Mobisun offers you various payment methods, including iDeal, PayPal, Bitcoin and 50+ cryptocurrencies. Whether you want to charge your power bank, phone, tablet, camera or MP3, Mobisun has a large range of mobile solar panels that suits every need. When you order for more than € 99, – we will send the products to you free of charge througout Europe.